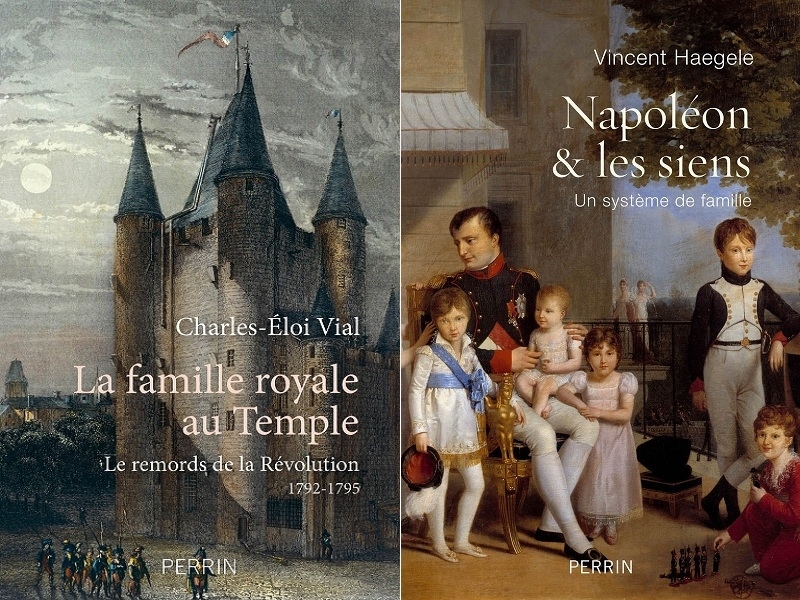 USPA NEWS - - "NAPOLEON ET LES SIENS" (Napoleon and his Family) by Vincent HAEGELE and Published in FRANCE by Perrin Editions. Joseph, Louis, Jérôme, Élisa, Caroline et Murat, Pauline and Lucien : Dissipated Brothers, Ambitious and Depraved Sisters, Unworthy Wives, Unscrupulous Cousins… But One definitely above all other reputations is that of a Greedy Clan with Undeserved Honors and "Collecting Corpses" of Ancient Monarchies. - "NAPOLEON ET LES SIENS" (Napoleon and his Family) by Vincent HAEGELE and Published in FRANCE by Perrin Editions. Joseph, Louis, Jérôme, Élisa, Caroline et Murat, Pauline and Lucien : Dissipated Brothers, Ambitious and Depraved Sisters, Unworthy Wives, Unscrupulous Cousins… But One definitely above all other reputations is that of a Greedy Clan with Undeserved Honors and "Collecting Corpses" of Ancient Monarchies. Napoleon Bonaparte wanted to be able to count on his Family. How to build a Dynasty without relying on his Own Blood, mostly when they were sharing the Early Pains of Exile, the Systematic Questioning of their Place in the Society and facing their Own Pride Injury and Ego. The Author is trying to propose an Inovative and very Detailed Version far away from Usual Clichés given to Clans, (mostly this One). Napoleon Bonaparte I was a French Statesman and Military Leader who rose to Prominence during the French Revolution and led Several Successful Campaigns during the French Revolutionary Wars. He was Emperor of the French from 1804 until 1814 and again briefly in 1815 during the Hundred Days. Napoleon I dominated European and Global Affairs for more than a Decade while leading France against a Series of Coalitions in the Napoleonic Wars. He won most of these Wars and the Vast Majority of his Battles, building a Large Empire that ruled over Continental Europe before its Final Collapse in 1815. He is considered one of the Greatest Commanders in History, and his Wars and Campaigns are studied at Military Schools Worldwide. Napoleon's Political and Cultural Legacy has endured as one of the Most Celebrated and Controversial Leaders in Human History. - "LA FAMILLE ROYALE AU TEMPLE" (The Royal Family At The Temple) By Charles-Eloi VIAL and Published in FRANCE by Perrin Editions. The Author is Curator at the National Library of France (palaeographer archivist and Doctor in History). A lot has been said about the Royal Family and this New Book is coming from an Expert describing very carefully naming Sources the Stay in Captivity of Louis XVI and his Family at The Temple Tower. Louis XVI was the Last King of France before the Fall of the Monarchy during the French Revolution. He was referred to as Citizen Louis Capet during the Four Months before he was Guillotined. Louis's Indecisiveness and Conservatism led Some Elements of the People of France to view him as a Symbol of the Perceived Tyranny of the Ancien Régime, and his Popularity deteriorated Progressively. He was tried by the National Convention, found Guilty of High Treason, and executed by Guillotine on 21 January 1793, as a Desacralized French Citizen under the Name of "Citizen Louis Capet," in reference to Hugh Capet, the Founder of the Capetian Dynasty. Louis XVI was the Only King of France ever to be executed, and his Death brought an End to more than a Thousand Years of Continuous French Monarchy. Both of his Sons died in Childhood, before the Bourbon Restoration ; his Only Child to reach Adulthood, Marie Therese, was given over to the Austrians in Exchange for French Prisoners of War, eventually dying Childless in 1851.